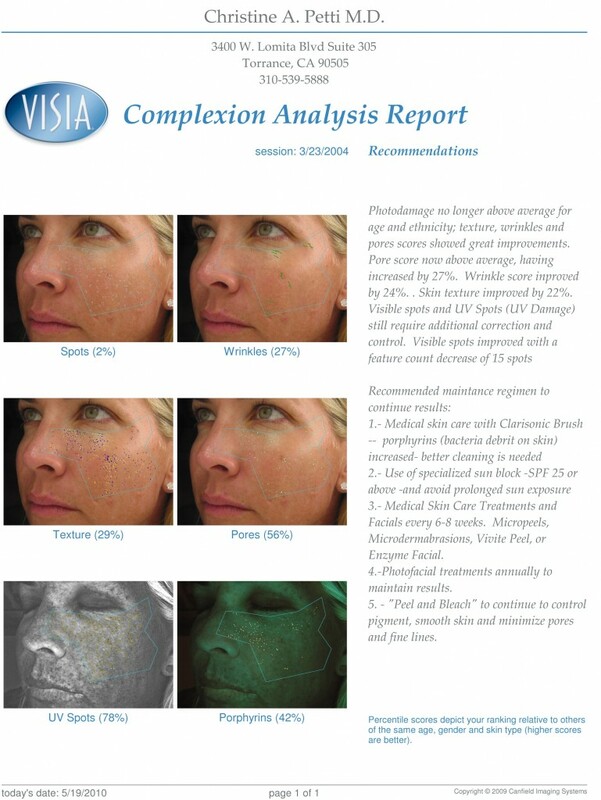 But thanks to a breakthrough technology found in the computerized Visia Complexion Analysis System, it is now possible to capture images of skin surfaces and assess issues like sun damage that are invisible to the naked eye. 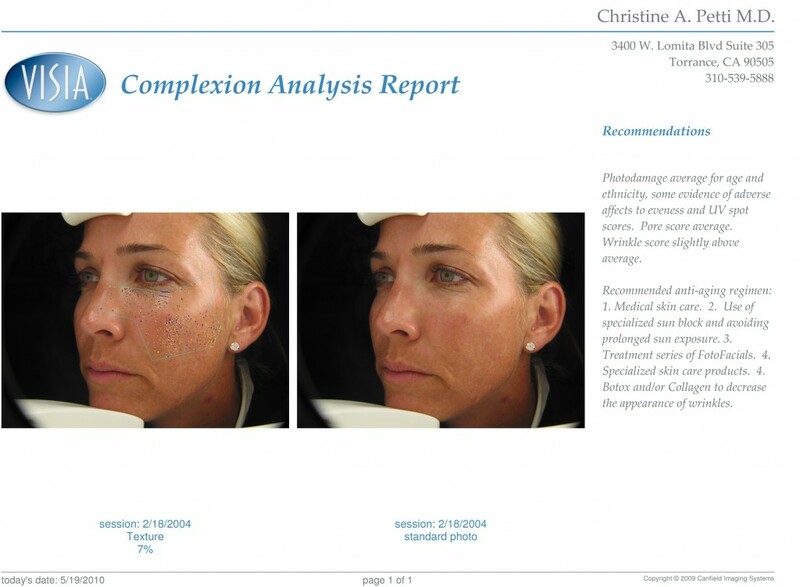 The results aren’t always pretty, but they are telling of how the skin will eventually show the signs of aging. The good news is early intervention can often reverse many of these undesirable characteristics. Using the results of your Visia screening, Dr. Petti’s licensed medical aestheticians can custom tailor a skin care regimen for your specific skin and help you achieve the glowing skin you desire just in time for summer.